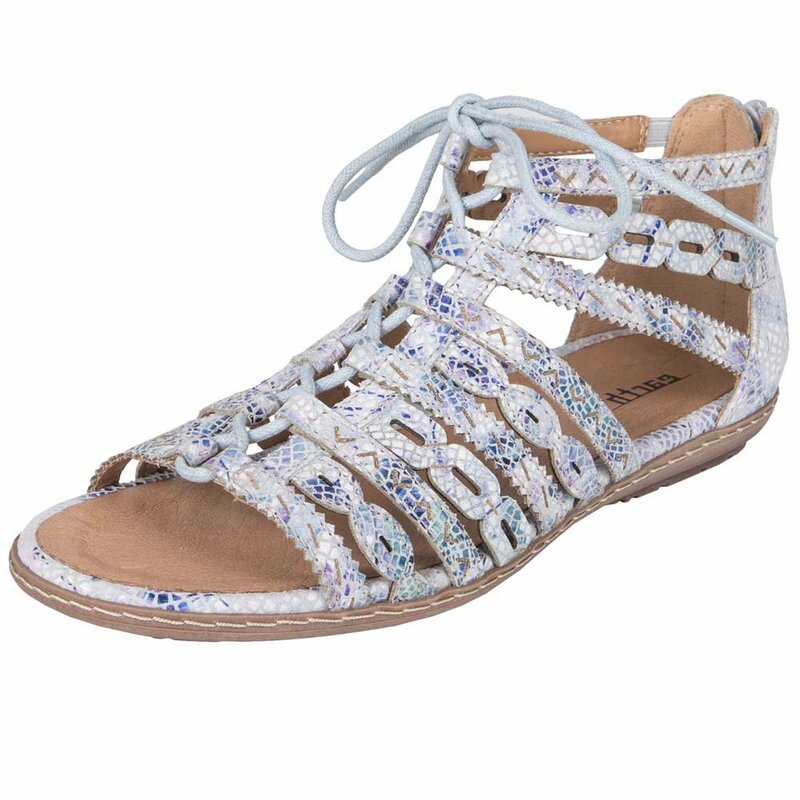 Let your warm-weather look flourish with the Tidal sandal from Earth®. Gladiator style with premium leather uppers. Lace-up closure with a back zipper. Exclusive comfort footbed with a leather cover cushions your foot from heel to toe. Reinforced arch support for all-day comfort. TPR outsole provides traction and stability. Imported. Measurements: Heel Height: 1 in Weight: 8 oz Product measurements were taken using size 7, width B - Medium. Please note that measurements may vary by size. Weight of footwear is based on a single item, not a pair.